Many people have heard about an expungement or sealing of a criminal record to hopefully keep a charge from appearing on a criminal background search report. In Pennsylvania, the term “expunge” is defined as “to remove information so that there is no trace or indication that such information existed.” Basically, an expungement is the destruction of government records that reference criminal charges. It must be emphasized that an expungement has limitations. If a private party or company has a record of the incident, such private entities cannot be forced to expunge records. For example, newspaper articles or online reports of incidents do not fall under the expungement laws. 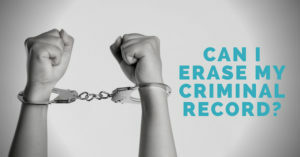 While the basic expungement process is set forth in Pennsylvania law and the Pennsylvania Rules of Criminal Procedure, meaning that many portions of the expungement process are universal across the state, many counties have unique requirements and quirks. For more information about how the expungment process works in Pennsylvania, click here. Because almost every county handles expungement petitions differently, it is important to consult with and ultimately retain an attorney who has experience with filing expungement in the particular county in which your charges were filed. JD Law generally only files expungement petitions in Centre County. If you need an expungement for a different county, contact our office for a referral for an experienced expungement attorney. Call JD Law at (814) 954-7622 or email us for a free initial consultation. Am I Eligible to Have Charges Expunged? The grading of the offense, meaning summary, misdemeanor, or felony. How the charge was resolved, meaning dismissed, withdrawn, not-guilty verdict, conviction or guilty plea. Why the charge was resolved in that manner, meaning was the dismissal the result of a court order or was it part of a plea agreement. Eligibility to have a charge expunged is dependent upon the grading of the charge and how it was resolved. Expungement in Pennsylvania are permitted by state law, but the law governing expungement is strictly followed. This means that whether or not a person is eligible for expungement is basically black and white under the law. While many people assume that they should be able to file an expungement petition and plead their case before a judge as to why they should be granted an expungement, a person must be legally eligible to seek an expungement before a judge can legitimately consider an expungement request. If a person is not eligible, then the filing of an expungement and payment of the filing fee is simply a waste of time and money, as the judge will deny the expungement request. A person cannot simply seek expungement of any charge and hope that the judge will allow the expungement based upon an extreme hardship or unfairness if the expungement is not granted. Step one is determining eligibility to figure out whether or not an expungement is permitted. For more information about eligibility, review the Expungement Frequently Asked Questions link for more information or contact Centre County expungement attorney Jason S. Dunkle at (814) 954-7622, or email us to discuss your case.